June Knowles, one of WiO’s founder members, died peacefully at her home in Oxford on 14th October 2012, after a short illness bravely borne. I arrived at June’s flat just in time for coffee. A delicious aroma was wafting from the kitchen – coffee brought by a friend from Tanzania. Quite a treat, said June, for someone who had lived on coffee farms, where they had to drink the stuff they couldn’t sell. June is surrounded by reminders of a long and adventurous life. African carvings perch on all available surfaces, the walls are covered by family portraits, and there are books everywhere. Her life has been one of travel, enterprise and writing, starting with her childhood in Kenya, where her father was a District Commissioner while her redoubtable mother ran a farm. June was educated by governesses until she was nine years old, when she was sent back to England and a series of boarding schools, all of which she hated. At the age of 16, she returned to Kenya for a brief education in the arts of sewing, singing and typing, before making a swift escape into the world of work. Her first job was as a plotter for the Kenyan Met Office – an excellent training, as things turned out, for her role in the war which broke out the following year. By the age of 18, June had enrolled as a cypher officer with the WAAFs, working first in Nairobi and then in Cairo, the Seychelles and Italy, experiences that she later described in her book Cypher Officer. The book includes some fascinating descriptions of her work as a code-breaker, and an exciting account of the mounting tensions in Cairo as German forces advanced through North Africa, eventually invading Egypt in 1942. 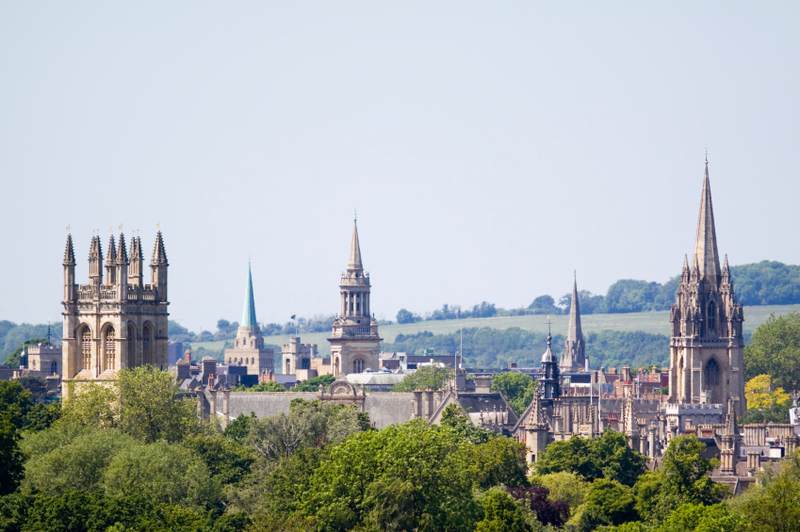 After the war, June studied PPE at St Anne’s in Oxford, where she was taught philosophy by Iris Murdoch, and met her future husband, Oliver. Like June, Oliver had an adventurous spirit and June soon found herself back in Kenya, once again living on a coffee farm. Over the next years, June brought up her four sons while pursuing a career as a journalist, contributing to the local press as well as working for The Economist for one month a year. In 1970, the family moved to Geneva, where Oliver worked for the United Nations, while June continued her journalism and worked for the Red Cross. Fifteen years later, they retired to Oxfordshire, and June began writing books, using the pen name of Elizabeth Watkins. The first was Jomo’s Jailor, the biography of Leslie Whitehouse, who was put in charge of a young prisoner named Jomo Kenyatta (the future Kenyan president) with whom he developed a lasting friendship. This was followed by Oscar from Africa and Olga in Kenya – accounts of her parents’ colourful lives – and Cypher Officer. After Oliver’s death, in 2008, June stayed on in Watlington before moving into Oxford last year. Now she can be seen whizzing around the city on her mobility scooter, making the most of Oxford life and WiO events.